A girl whose only trait is that she is completely ordinary (relative to her classmates); however, she takes offense at being called "normal," which she considers boring and undesirable. Her name derives from the Japanese term hitonami, meaning "run-of-the-mill." Although it has not been referenced in the present, she attended elementary school with Kafuka, who may have been the first person to call her normal. 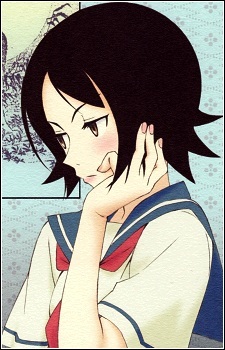 In the planning stages of Sayonara Zetsubou Sensei, she was originally planned to be the heroine.